Warm traditional pub. No kids, no sports, open fire and friendly staff welcoming atmosphere and locals. John smiths, speckled hen and a guest on cask. Welcome retreat from the bars of today. Bit rough around the edges but seems to be popular with a group of regulars. Friendly barman, Old Speckled Hen and John Smiths cask on tap. 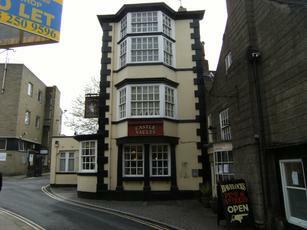 Nice little town pub near eastern entrance to Castle Yard and its great view. One of the last bastions in the town of handpumped John Smiths which attracts mainly locals. Average sort of pint if you like John's; a nice little haven to escape from the shoppers or engage with some banter with the Knaresbrorians!